These dining room lighting ideas will help you create a convivial ambiance in your dining room. As with the other lighting design pages, the images on this page are presented as separate ideas that you can mix together to form an overall dining room lighting scheme. 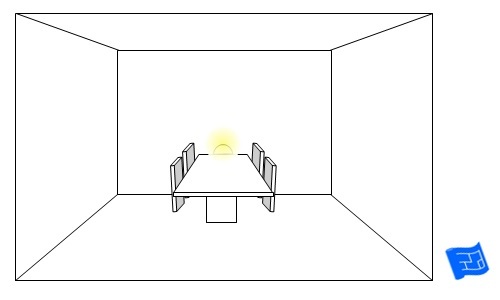 So let's make a start on the obvious - the lighting above the table. First off let's take a look at the standard pendant above the dining room table. Even though it's a single pendant you can make the light shade any shape and there are still decisions to be made about how high you hang the light from the surface of the table. There's more on that below. 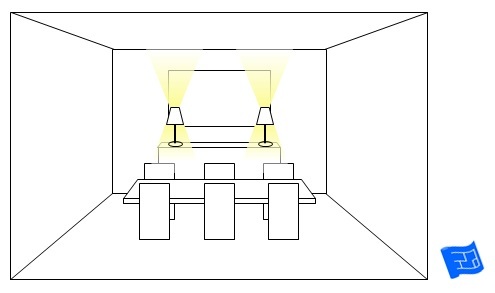 Install a dimmer to your ceiling and wall lighting (if you have it) so that you can set the mood. 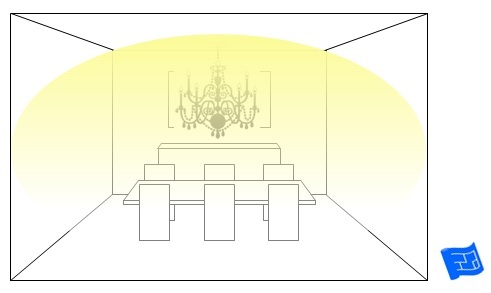 Many designers suggest a distance of the light above the dining table of between 30 - 38 inches (approx 76 - 96cm). If you just grab a tape measure and measure that out you'll see that's pretty low. I actually have candlesticks that are 32 inches (81cm) high so for me 30 inches would be way too low. If you ever need to move the table to walk underneath the fixture you'll need to leave around 52 inches (1.32cm) between the table and the bottom of the light fixture. A discussion of dining room lighting ideas has to include the chandelier. There are many styles available, not just the traditional crystal, so have a look around for something that suits your look. Now chandeliers can be large, and you need to make sure you'll have enough room. Take note of your ceiling height and the height of your chandelier and the recommended minimum table clearance (30 inches - 76cm). 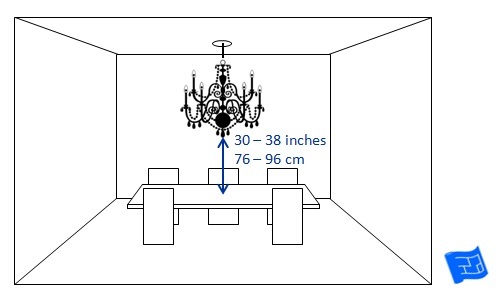 How far above the table should your chandelier be? 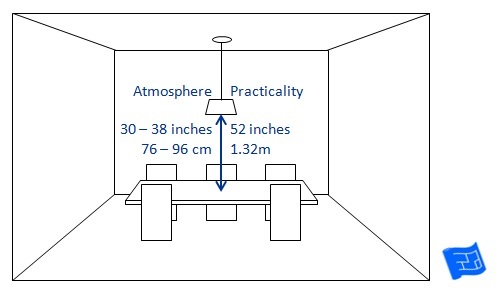 Make sure there's sufficient ceiling height. 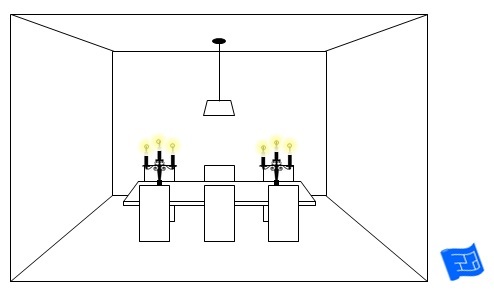 If you're planning a dining room, then make sure that the lighting wiring will mean that the fixture(s) are centralized on the dining table. If this isn't the case, no problem, create another fixing over the center of the table (usually a hook), extend the flex and get that fixture into the right position. Now let's have a look at some longer style fixtures. Sometimes these fixtures are fed by a single power source but fixed from the ceiling in several places. 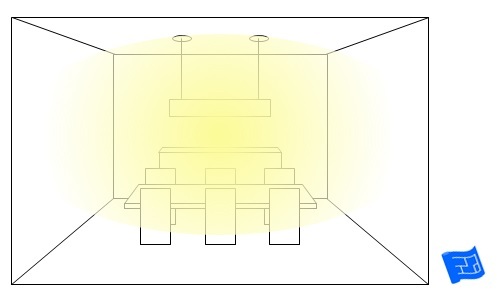 Be sure that you understand how your fixture needs to be wired and fixed. Another way of creating a longer fixture is to install several single pendants, or split the wiring from one fitting and fix them at different positions on the ceiling. 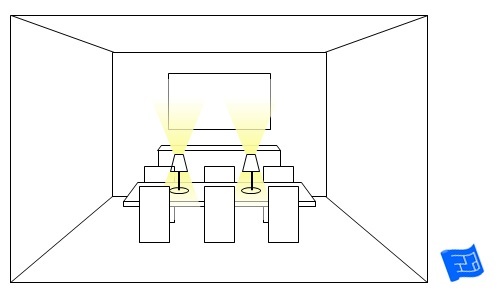 You can create some dramatic effects with focusing narrow angle beams down onto the table. 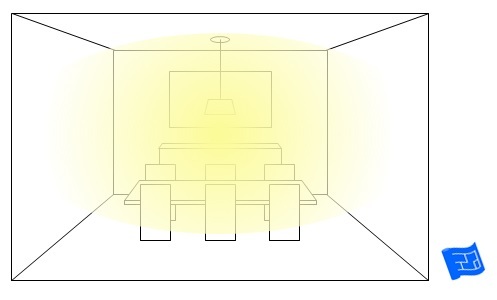 I've seen some fixtures which include both an ambient element and a directional down light. Your over the table lighting fixture needs to work both with your dining room and with your dining room table. The shape and proportion of your lighting fixture should enhance the shape and proportions of your dining table and vice versa. 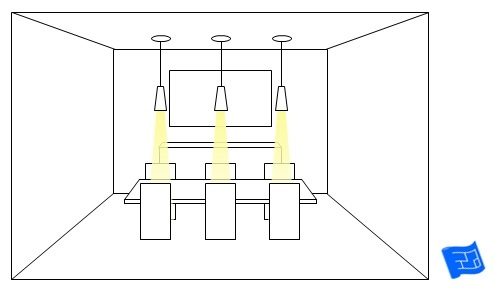 Here's a few pointers on how to put these dining room lighting ideas into practice. First of all decide if you think a central fixture or a long rectangular fixture will be best for your dining space. For example, a central fixture works perfectly above a round or square table and a long fixture goes well with a long table. 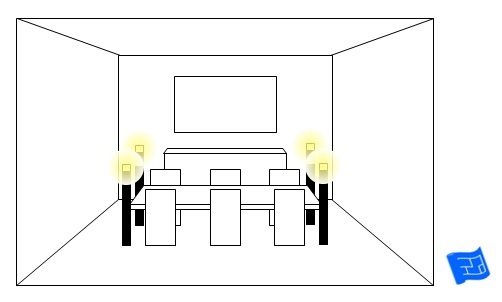 Remember that you can use several single fixtures in a row to create a longer fixture. Then figure out how tall (vertical distance) your light fixture can be. Will there ever be an occasion when you want to re-purpose this space? 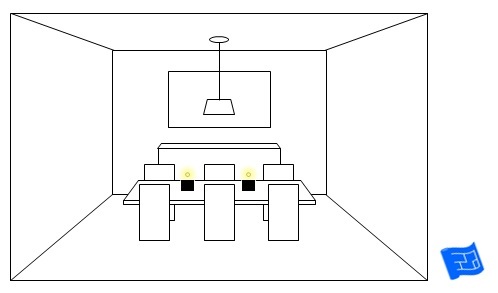 For example, will you need to move the table to the side for a big party, or use a table that folds away if you're in a small space? If so, you need to plan for this when deciding on your lighting fixture. If it's going to be necessary, make sure you can walk underneath the fixture, or that the height can be easily adjusted. 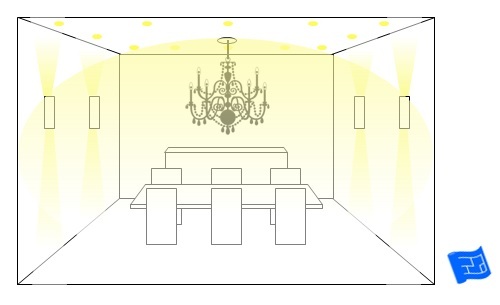 Also if you're considering a large chandelier, make sure your ceiling height is sufficient. 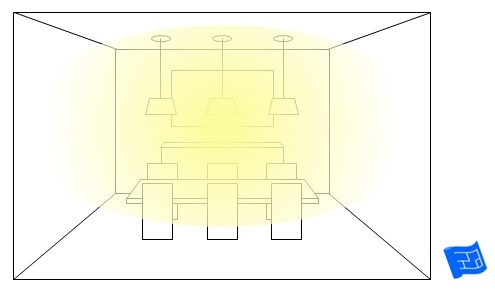 Next you can think about how wide (horizontal distance) your light fixture needs to be. This decision is more a question of the look you're creating rather than following any specific rules. What I will say is that your fixture can reach up to 12 inches (30cm) from the edges of the table until the arrangement starts to look top heavy. 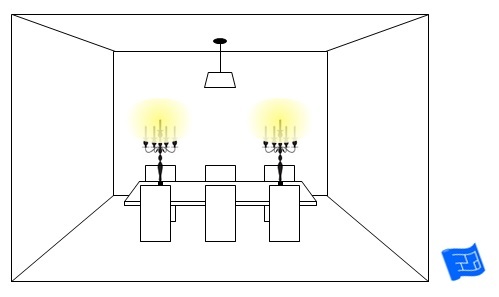 And make sure that your lighting wiring will place the fixture centrally above your table! I was watching an old movie and there was a scene in an old style dining car where there was a lamp on the table and it got me thinking. This idea is easy to implement on a table placed up against a wall (like in a booth) as the wire can just creep over the edge of the table and there's no floor sockets required. 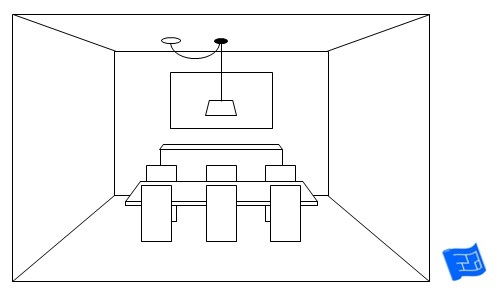 How about if you plan to have your table in the middle of the room? Board room tables have a space for wiring to come through for conference phones and laptop cables so why not consider using the same principal for your dining table? It does take a bit of planning out where the power sockets need to go in the floor and of course you need to trust a carpenter to make good looking holes in your dining table. A small notch in one or two of the leaves is a good strategy. Lamps on the table - why not? It's worth having a look for battery operated lights as well. How about fairy lights? There are some very delicate battery operated fairly lights available that would be perfect for including in a centerpiece arrangement for a bit of extra sparkle. This next idea was inspired by Frank Lloyd Wright. 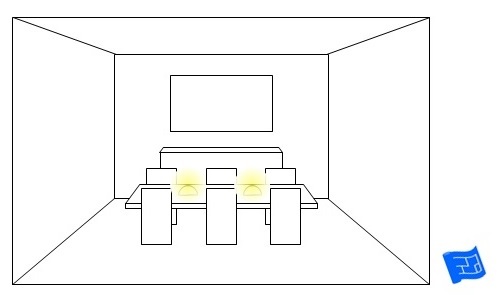 He designed several tables with built in lights around the edge. 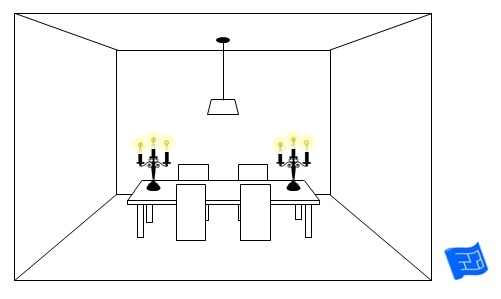 There's a picture of one of them in the 'Real Life Dining Room Lighting Ideas' section below. Last but not least there's the every lovely candles. Here's a set up with medium sized candelabra. The trouble with this arrangement is that the candlesticks create a visual barrier to the view across the table. The solution is to move the candelabra to the edge of the table. This means that less people can sit at the table but the view is clear. Tall candelabra are also worth considering as the upright supports don't cause too much view distraction and the candles are all above eye level. My personal favorite is to have a few tealights in decorative holders on the table. These are lovely to look at and I think the upward glow is flattering for everyone's faces. If your dining room has a sideboard it's a great opportunity for lighting. Now I'd suggest you head on over to the living room lighting page for examples of ceiling and wall lighting options. Shelves are covered over there as well. Ceiling and wall lighting can be combined with over table lighting to create an overall effect. You can see how some of the ideas we've discussed are brought together in these real life pictures of dining room lighting ideas. Use the arrows to move between the images.